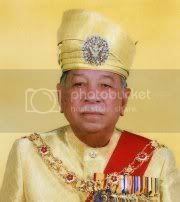 The Yang di-Pertuan Besar of Negri Sembilan, Tuanku Ja’afar Ibni Almarhum Tuanku Abdul Rahman, died at 11.45am today. He was 86. State Secretary Datuk Norzam Mohd Nor announced Tuanku Ja’afar’s demise at the Tuanku Ja’afar Hospital where he died. Born in Klang on July 19, 1922, Tuanku Ja’afar was the 10th Yang di-Pertuan Agong, serving from April 26, 1994 to April 25, 1999. He was also the fourth Yang di-Pertuan Besar of Negri Sembilan since 1968. His death sets in motion a scramble to select a successor to the throne in a state where an election will now have to take place where four traditional territorial chiefs will choose the next Yang di-Pertuan Besar. Unlike the country’s eight other royal Malay states, the Ruler of Negri Sembilan is elected to his office by the territorial chiefs of the state. These chiefs are titled Undang. Only four of the Undangs have the right to vote in the election for the Ruler of the State. Bernama reports Tuanku Ja’afar had complained of headache and discomfort at 8.10am today. “The hospital was contacted and two senior consultants, Datuk Dr Tarmizi Thayaparan and Datuk Dr K. Sree Raman, rushed to the Istana Hinggap here to attend to Tuanku,” Norzam told a news conference. Also present were Negri Sembilan police chief Datuk Osman Salleh, State Director of Health Dr Zainal Arifin Omar and members of the royal family. “Tuanku was rushed to the Tuanku Ja’afar Hospital and admitted to the Intensive Care Unit and was administered emergency treatment. “I wish to state that Tuanku Ja’afar passed away at 11.45am at the Tuanku Ja’afar Hospital,” he said. Norzam said Tuanku Ja’afar’s remains would be taken to the Istana Besar Seri Menanti in Kuala Pilah for the lying-in-state ceremony before being laid to rest after “asar” prayers on Monday. Norzam said Tuanku Ja’afar’s remains would be placed in the Balairong Seri (throne room) of the Istana Besar Seri Menanti to enable members of royalty, leaders and the public to pay their last respects. He said the state has declared 40 days of mourning from today and all official government functions over the next seven days have been postponed. “All government offices and buildings must fly the state flag at half-mast for the 40 days. During the mourning period, all male government employees must wear the songkok bearing a white band while female employees are required to wear a white band on a sleeve. “All entertainment outlets must also postpone all their activities over the next seven days from today,” he said. Norzam said Menteri Besar Datuk Seri Mohamad Hasan, who is on holiday in London, was expected back at 10am tomorrow.